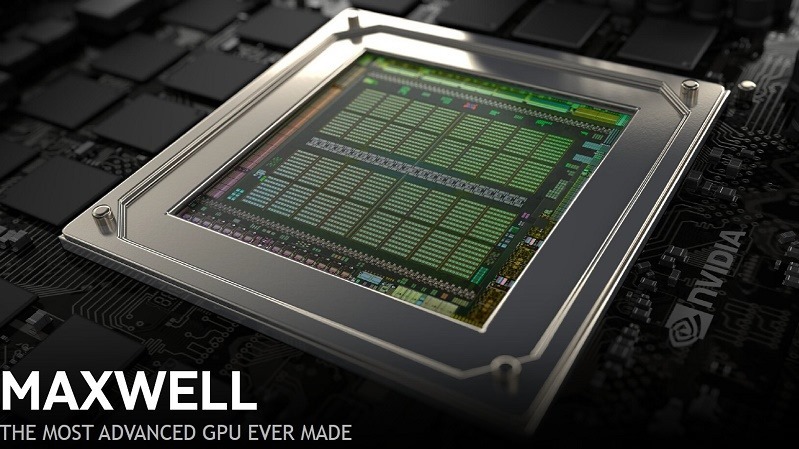 Nvidia ruled the roost last year with the launch of their Maxwell series of graphics cards. In fact, it wasn’t the series as a whole, but rather the GTX 970 in particular. It delivered incredible performance for a moderate price, but it still sits well above the mid-range spectrum. That’s where the GTX 960 is meant to fit, but it’s not looking too great yet. Videocardz has the lowdown on Nvidia’s mid-range Maxwell, which looks like a much smaller version of the flagship GTX 980. In fact, it looks like it has been split exactly down the middle. The first talking point has to be the memory. Both the GTX 970 and 980 feature 4GB, which is enough to keep up with the rising demands of modern games at their highest settings. Cards with 2GB configurations have been around for a while, and slowly but surely they’re not cutting it anymore. The GTX 960 is definitely aimed at the mid-range market, but 2GB simply isn’t enough anymore. On the plus side, the clock speeds are pretty impressive. The GTX 960 weighs in with a Base and Boost clock of 1127MHz and 1178MHz respectively, which sits in the same range as the GTX 970. It does, however, feature far less CUDA cores, with only 1024 being piled on. 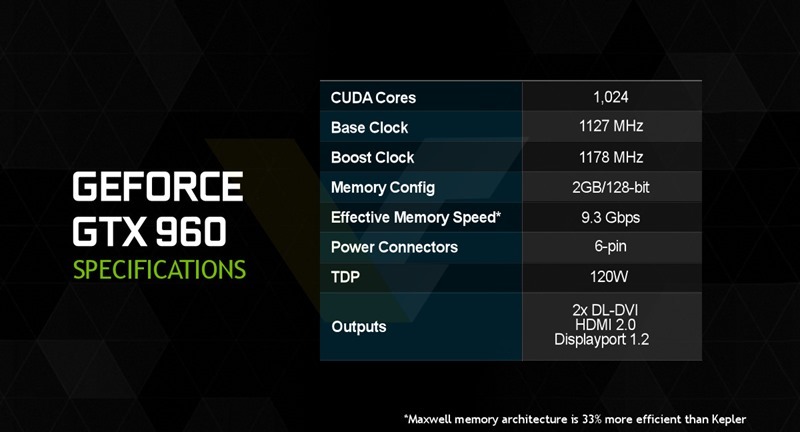 And sticking with Maxwells attention to efficiency, the GTX 960 has a low TDP of 120W, leaving a lot of room for overclocking. It is possible for third-party manufacturers to bump up things like memory and clock speeds after launch, but these usually only happen many months down the line. The NDA for GTX 960 reviews lifts next week, so we’ll personally be able to tell you all about the card very soon.